Have you ever wished there was a rulebook, creator laws or instruction manual for life? Do you ever question what happens to us after physical death? Have you ever asked yourself why you have had certain experiences in your life? In the last post Understanding The Soul – Part 2 of 6 We talked about the creation of souls and the attributes that are given to them. The following is one of the best descriptions of the creator laws of being a creator god (the following is attributed to: (http://www.stankovuniversallaw.com/2015/04/functioning-as-creator-gods-and-the-universal-laws-of-creating-realities/ ) We do not know with certainty what the karmic laws of free will are but this theory and description of the cause and effect laws makes a lot of sense. That which you control will control you. The more control you have or exert over something, the more control it will exert over you. The more power you have over something, the more responsibility you have. The more control you exert over something, the less freedom you have and the more you give away your power. As a creator, the more you attempt to define the energies of a reality – that is, the more you interfere – the more drawn into that reality you will become, the more that reality will define that part of your consciousness, and the more PHYSICAL you become. As a creator, the more you attempt to define energies of a reality, the more veiled that part of your consciousness becomes. As a creator, the more you attempt to define energies of a reality, the more that part of your consciousness experiences separation consciousness. The higher vibrations a consciousness experiences, the less free will it has because the more universal that consciousness becomes. Increasing free will requires lowering vibration and increasing vibration requires letting go of some free will. Increasing vibration, that is – ascending – requires letting go of some control and giving up some free will. Vibration and density are inversely proportional but independent phenomena. This one is difficult to grasp. All other things being equal, the more dense some expression of consciousness is, the more its vibration will be limited. However, there are usually other factors involved so from an absolute standpoint, you can’t say something will be low vibration simply because it’s dense. Thinking about these laws in your life may reveal some startling truth. The three parts of Law 1 has a great deal of relevance in one’s relationships. For a person that is domineering over their spouse, they start to take on a greater responsibility. This responsibility results in less freedom because the person in control must make all decisions. In this situation a person is giving away their power in life by controlling all minor details of life. Law 2 with its three parts applies to one’s convictions and judgments. The conviction we have in our judgment of things creates a sort of separated consciousness in that we are no longer able to view the big picture or see both sides of a situation. There are always two sides to every situation but if we become too polarized or opinionated to one side, we lose consciousness of the other side. We start to take on a sort of veiled awareness unable to be conscious of another view. Perhaps one of the best examples of this is the current polarization in politics. The far right cannot even consider the positions held by the far left and vice versa. In another example those who are always blaming others for the condition of their life start to take on a victim consciousness and thus lose the ability to have a personal responsibility consciousness. They literally become unable to see their own responsibility in situations because they are too busy trying to define how people should behave and are trying to control the external events in their life. Law 3 has application in our conscious physical state but requires us to be fully aware of our soul consciousness. In other words the more we take on a state of love, compassion, gratitude and peace, the less we try to exert our free will. As we begin to unify with others, we become more universal to the principles of unity which again is love, compassion, gratitude and peace. Law 4 is about attaining our spiritual state and this requires letting go of our selfish desires in favor of collective harmony. I was introduced to these concepts about three years ago and the more I study and ponder these ideas the more they resonate with me. I highly encourage you to think about these ideas and see how they apply in your own life. This goes back to the point on unity. I will write a separate post dedicated to providing more insight into these laws. As souls started to mingle with the third dimensional influences of earth like planets, they gradually became trapped by it. This led these original souls of consciousness, (meant to be companion creators,) to eventually forget their origins. In many cases these souls have no conscious knowledge of the laws which have affected them. Part of living in the physical plane is abiding by the laws of nature and part of nature is the process of birth and death. As each soul lived life on earth they created karmic consequences which had to be balanced. There was great confusion when their bodies died and they found themselves back in a spiritual dimension very much alive. However death did not free them entirely from physical life because of the law of cause and effect. Thus each soul would choose to reincarnate in order to “experience” their past misdeeds. The fastest way to alleviate this karma was to reincarnate in the physical plane. There was great confusion as these souls would live out a physical human life having no idea of what they were, where they came from, or the laws affecting their lives. Only upon death and their return to the spiritual state would they understand the life just lived and the karma they incurred. Once they decided to embark on another physical life, they would work out the general theme of their life, and the karma they hoped to work off. However once birth occurred on the physical plane, their conscious mind would have no memory of their plan. The blueprint for their new life was known only to the subconscious. Delayed karma doesn’t apply in the spiritual realm as cause and effect is instantaneous. What a consciousness conceives is experienced immediately because time does not exist in the spiritual realm. This is a difficult concept to grasp in human terms, but speak to anyone who has had a near death experience and they will tell you the concept of time does not exist in the near death experience. Furthermore all one has to do in the spiritual realm is think of something and it is manifested immediately. The notion of time however exist in the physical realm and so the delay between some causes and their effects results in karma due to the added component of time. As a result of the aforementioned creator laws, our consciousness divided into three separate levels of awareness. We are most familiar with the lowest form which we call consciousness. It is the consciousness needed to function in the physical three dimensional realm. It is what we experience in the awake state or that which is opposite to sleeping. This is the level of awareness in which we think of ourselves as a separate entity disconnected from everything and everyone else. We utilize this part of consciousness to work with the five senses as tools to experience and navigate this realm. This level contains the vestige remains of the animal traits from which human bodies evolved. As part of this lower level of consciousness we have a heightened ego which developed in early humans as a means of protection. The ego is perhaps the single biggest deterrent to achieving liberation from the physical plane. It is also one of the most difficult to overcome in physical life. The only people who tend to overcome their ego are those who seek to know of their true existence. These are people who seek their spiritual origins and do the work necessary to attune themselves to unity consciousness. This includes disciplined meditation practices, mindfulness and the general understanding and practice of love and compassion. 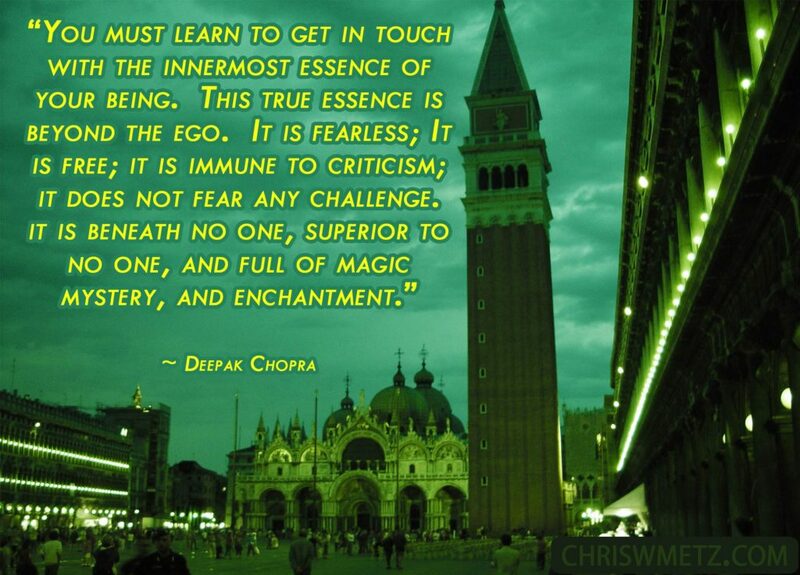 Most religions attempt to teach this concept but they do not call the ego out objectively. There are also rare cases of grace in which a person experiences an awakened state. Lastly there are those who have had near death experiences having experienced the spiritual realm while still living a physical life. These people are shown their true reality and upon coming back to life are changed forever. Those who have this experience are no longer afraid of death and start to practice a life of love and compassion. Why do you suppose it is so difficult to achieve an enlightened state? The simple answer to this lies in the fact there are very few who dedicate their life to obtaining spiritual enlightenment. Those who seek spiritual enlightenment and attain it have the option of leaving the physical plane for good. The second level of consciousness is what we call the subconscious. This is the part of our consciousness we are unaware of. From this consciousness our bodies are maintained and myriad life processes are carried out. We may occasionally catch a glimpse of the subconscious in dreams or as premonitions, intuition, synchronicities, deja vu or the uncanny ability to detect danger. The subconscious mind has access to all our stored memories and every detail we have ever experienced with our five senses. It is directly connected to our higher self or soul. It has access to the memories of every physical life we have ever lived. This can be accessed during hypnosis or deep meditation. It is what influences our general direction in life and carries out our karmic work. On an intuitive level through the subconscious we know what is right and we know that love and harmony are the basic truths in life. However, the desires of the ego and the body create a strong influence often overriding the guidance of the subconscious. This ego influence is what continues to build karmic patterns in our lives through anger, hatred, selfishness and cruelty. This is why it is so important to bring awareness of our soul into our lower conscious state. It is with our conscious state that we exert our free will choices in physical life. The third and highest level of consciousness is called universal mind, universal consciousness, superconsciousness or as Carl Jung referred to as the collective unconscious. This is the level that is in communication with the creator and all other points of consciousness. It is the level that matches our original state of consciousness. This is the level of awareness achieved at the highest levels of enlightenment. Very few have achieved this level, however some of the more notable examples are Jesus, The Buddha and Krishna. There are numerous others but very few stay in the physical realm to teach. Having reached this level while in the physical state they are free to leave and never return. 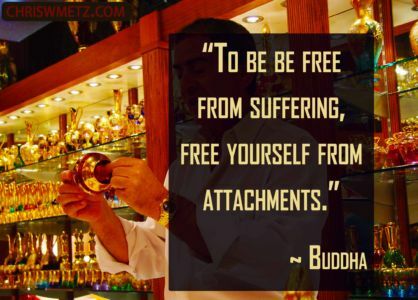 It is interesting to note the Buddha taught enlightenment based on relinquishing our physical form. In this way he taught to let go of all attachments to any physical aspects of third dimension reality. This included the attachment to our thoughts and our perceptions of what is real. Jesus on the other hand taught through love, compassion and treating everyone as your brother. In this way he was teaching us to strive for a state of unity consciousness with all other souls. This method seems to be a more collaborative effort on the part of all humanity through forgiveness of each others karmic debts. What most people seem totally unaware of is how their past or present actions have affected their current lives, or how their current actions will affect their future lives. Everyone’s fate is predetermined in a way due to their actions in previous lives. If we have caused harm to another soul then we must experience a lifetime in which we experience similar harm, we suffer at our own hand in order to clear or balance our karma. Study each of the creator laws and think about how they have influenced your life? Can you see how we create a veiled level of consciousness for ourselves by having strong judgments wanting to change the reality of the world? Do you ever catch glimpses of your unconscious mind by some intuition, deja vu, synchronicity, dreams, coincidences or a sudden premonition about something? Do you ever get the sense there was some overriding guidance in your life that unconsciously pushed you in a certain direction? Do you ever sense the notion of karma being played out in your life? Do you ever feel that you have an inner sense of what is truly important in life? Have you ever felt desires of the body or the ego that have made you do things you knew intuitively were wrong? Have you ever noticed how good you feel performing selfless acts of kindness for others? Have you ever noticed how bad you feel when you have intentionally meant and done harm to another person? Some further exercises to strengthen the awareness of your soul. Make the conscious free will choice of wanting to understand your soul. Without this desire you will probably not be able to access your higher self. Ask your higher power for guidance on how to know your soul. Seek to know. Pray or meditate on this daily. Try to meditate, if you don’t know how there are numerous resources available to learn the practice. The most important aspect is devoting the time on a daily basis. Once you have learned to quiet the mind, listen to the wisdom of your higher self. Make the commitment to start learning from various sources. You will be amazed at the amount of information available for those who seek. Desire is the key to achieving anything, once you have a firm desire things will start to happen. In the next post on “Understanding The Soul – Part 4 of 6” we will discuss what happens at death. This entry was posted in Calming The Mind Within, The Soul and tagged consciousness, karma, soul, subconscious. Bookmark the permalink.